Meteorologist Steve Sosna explains the reason why some New Jersian's may have seen a giant fireball fly over their house. A South Jersey police was on patrol when a flash of light suddenly streaked across the early morning sky. Hamilton Township police Sgt. 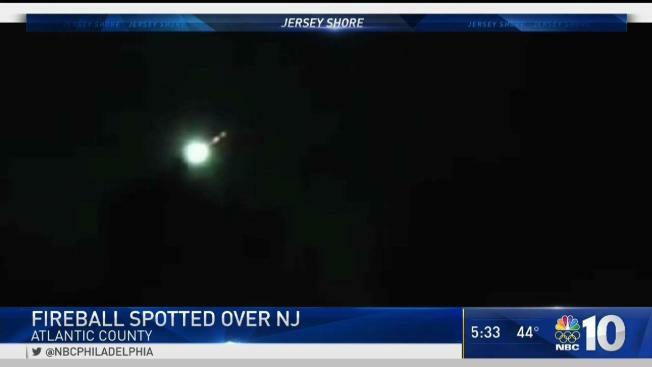 Michael Virga's dashcam captured the fireball streaking across the sky around 3:09 a.m. Saturday, the Mays Landing-based police department said. The light explodes before disappearing, a rare event called a bolide, police said. The American Meteor Society (AMS) said the light green flash, believed to be a meteor, lasted less than two seconds. Virga’s dashcam captured it from right to left.